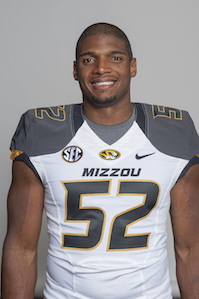 2014 NFL draft hopeful Michael Sam is a 6-foot-2, 260-pound, 2013 SEC Defensive Player of the Year, African American football player who happens to be gay. Sam, a first team All-American, is a projected mid-round pick in this May’s NFL draft, yet some anonymous NFL personnel think the league is “not ready” for an openly gay player and he will be viewed as a “distraction.” Another anonymous general manager predicted that Sam will not be drafted. He shared his sexual orientation to his teammates at the University of Missouri prior to their season. This “distraction” led to Missouri finishing No. 5 in the country and Sam being selected as the SEC Co-Defensive Player of the Year as well as a first team All-American. Clearly the team managed to do just fine. It’s time to move past the ridicule and dark shadow of gay athletes in professional sports. Regardless of your viewpoint on the hotly debated issue, if Sam comes in to a football team and helps them win, nothing else should matter. Just like Jackie Robinson breaking Major League Baseball’s color barrier, Sam’s courageous and heroic act to break the barrier of openly gay athletes in professional sports inspires kids everywhere to be themselves.